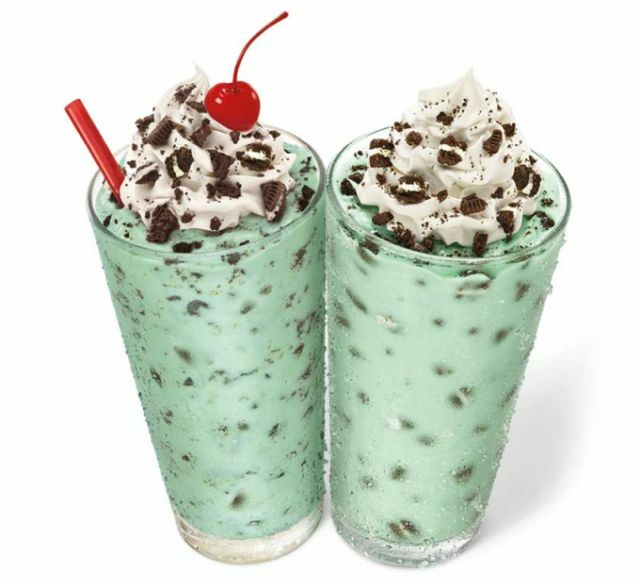 Sonic features the combination of mint and Oreos this holiday season with the arrival of the new Holiday Mint Master Shake as well as the Holiday Mint Master Blast. The Holiday Mint Master Shake consists of vanilla ice cream mixed with mint syrup and Oreo cookie pieces, topped with whipped topping and more Oreo pieces. It should not be confused with the previous Holiday Mint Shake, which was ice cream mixed with crusted holiday mints. The Holiday Mint Master Blast takes the same components and skews the ratio towards a thicker frozen dessert. Both holiday shakes are available for a limited time only at participating Sonic restaurants.